The West Biofuels rotary gasification system coupled with the thermal oil heater/ORC turbine generator combination results in a superior approach to generating renewable power and high-quality biochar. The energy costs are in the range of currently available power purchase prices from State utilities and profits are enhanced with biochar sales. The rotary unit is a lower temperature gasification process, so it is ideal for materials with low ash melting points (like almond shells) that slag other gasification systems. Because the heat source is separated from the biomass, the process is extremely well controlled. This allows the system to be optimized for varying feedstock and produces the highest quality biochar available. Rotary gasification units can be designed for any size. Units range from large 20 Tons per hour to 100 pounds per hour capacities. The rotary gasification units can also be optimized for biochar production and can be mobile. 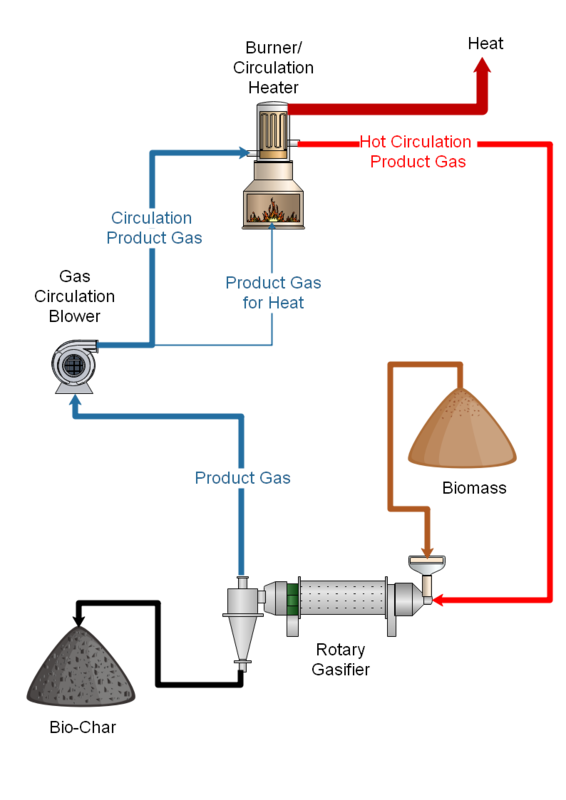 The West Biofuels Rotary Gasification system is a continuously agitated gasification process where the combustion process is separated from the gasification process completely. 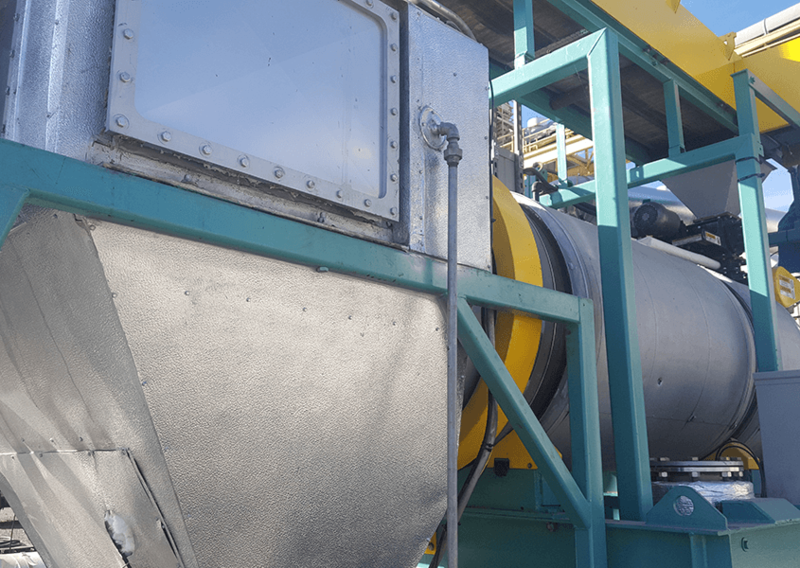 This separation allows for a much better control of temperature during the gasification process and produces the highest quality biochar of any process. The rotary gasifier operates by circulating the product gas throughout the system. A small portion of the circulating product gas is burned in a combustor/heat exchanger. This combustor heats the circulating product gas and provides heat for other processes such as building heating or power generation. The biomass is continually introduced to the heated circulating product gas stream resulting in gasification. Biochar is removed from the gasifier and product gas stream hot. Unlike many gasification systems, the biochar is not used to filter the product gas and remains free of tars and undesirable contaminants. Because our system does not use the biochar as a filter, the natural filtering ability that makes biochar so desirable remains intact.